Why spend time getting your home office in order just as summer is about to begin, and the last thing you want to think of is work? Because a messy home office only gets in the way of summer plans, that’s why! 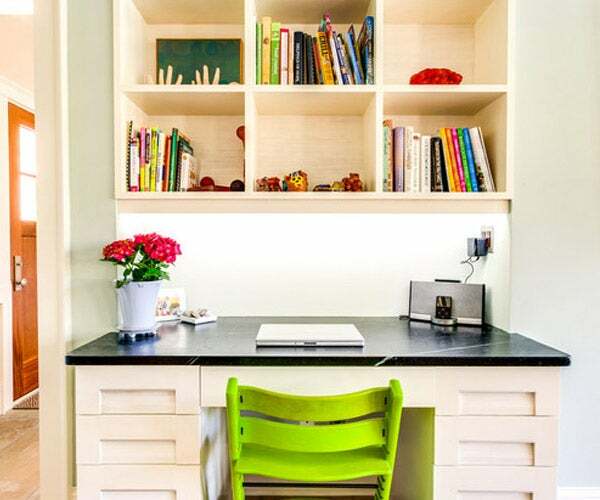 Piles of work papers and to-dos are visual reminders of things you don’t want to be doing -- putting in a little extra effort to button up your home office will help streamline your home for summer, so you can move on to the fun stuff. This plan will help you clear the clutter and put systems in place to make it easier to keep things looking good all year. How big your home office is, and just how packed full of stuff it is will make a huge difference in how much time you’ll need to devote to get it in shape. If you use your home office regularly, or if your home office is large or has accumulated a lot of clutter, plan to spend a few longer stretches of time on a weekend and follow up with shorter tasks during the week. 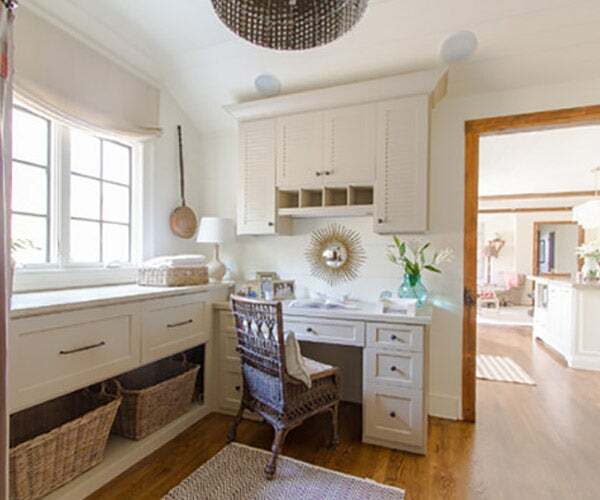 If it’s a small space or not too cluttered, you may be able to compress the plan into a single weekend -- read it over before beginning and tailor it to work for you. Day 1: Deal with paper. Decluttering tasks: What is all of that clutter? Do you even need to keep this stuff? This is the day to find out. At the end of today’s tasks, your home office may very well look worse than when you began -- consider yourself warned! Do some research. Sometimes we keep things simply because we are not sure if it’s OK to throw them out. Go on a fact-finding mission (call your tax preparer or search online) and figure out what you need to keep and for how long. Sort and stack. 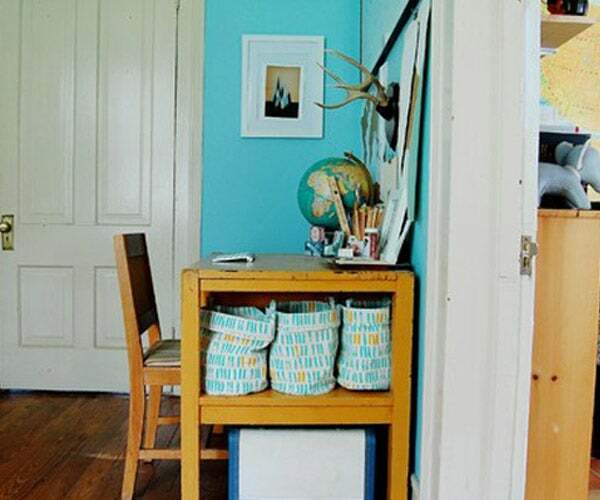 Work your way through your home office, pullingevery loose paper out of drawers, shelves, cupboards etc. As you go, sort your stuff into categories as best you can, shredding and tossing what is no longer needed. Make quick temporary labels for your category piles with a marker on plain paper -- it’s amazing how quickly you can lose track of what goes where. Set aside anything that does not belong in your home office and make a point of returning it to where it belongs (or to whom it belongs to) today. Cleaning tasks: Keep a shredder, recycling bin and trash can nearby for obvious junk mail and garbage. Day 2: Make some space. Decluttering tasks: Pour yourself a big cup of coffee or tea, because you’ll need the boost to get through today’s task -- but when you’re done, your workspace should be feeling significantly better. Pull every (nonpaper) item out of your desk and office storage and sort it into piles, placing like with like -- for instance, all letter writing supplies in one pile; everything computer related in another. Now take a closer look at those piles, removing unneeded duplicates (do you really need three staplers?) and anything that doesn’t belong in your office. Armed with the knowledge gained on your fact-finding mission on Day 1, dip into your files and see if there are papers you can safely get rid of. If you want to move toward a paperless home office, go online today and set up paperless statements and billing. A grid of clipboards on the wall can make for a handy place to keep papers organized. Wall-mounted cups keep frequently used supplies neat and within reach. Cups and bowls borrowed from the kitchen make great desktop and drawer organizers. Labeled, open-top baskets on shelves are great for people who like piles. Traditional files are still useful for important documents. Image Credit: Abbey Construction Company, Inc. Cleaning tasks: Give yourself a big pat on the back, because the hardest work is now behind you! Today is all about making your home workspace fresh and clean, so it will be a healthier, more pleasant place to spend time in. Vacuum your home office from top to bottom. Use an attachment to clean window treatments, high corners and fabric lamp shades. Wipe down shelves and surfaces with a damp microfiber cloth. Use monitor wipes to clean your screens. Use a keyboard cleaner to blow dust from between the keys or gently clean them with cotton swabs. Bring in some fresh plants to help clean the air. Decluttering tasks: How comfortable is your home office? If you use your workspace often, it’s important to have an adjustable chair with proper support, good lighting and perhaps a small stool to put your feet up on. See what you can do today to make your home office more comfortable. Day 6: Add a personal touch. 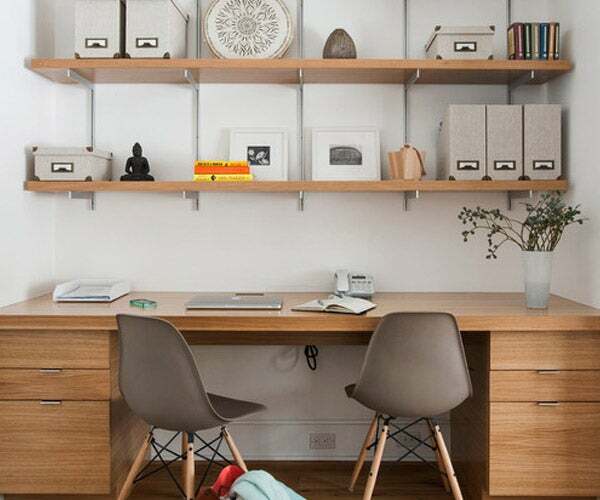 Decluttering tasks: The beauty of a home office is that you can emphasize the home part as much as you like. Bring in family photos that make your smile or treasures from your travels; drape a beautiful textile over your chair; or store your office supplies in pretty fabric baskets and china teacups. Cut a few fresh flowers from the garden and place them in a vase on your desk. Light a scented candle while you work. Do whatever makes your office feel more like you. Day 7 and beyond: Do daily maintenance. Aim to handle paper as soon as you get it, rather than letting it pile up. If you don’t have time to do this daily, set up an inbox with slots for a few broad categories (bills, work, school etc.) so papers will be easier to handle later. Post a note detailing what you should save and for how long. Schedule a weekly time to empty your inbox. Straighten up your home office before you are done working each day. Bring the coffee cups back to the kitchen and completely clear your desktop.